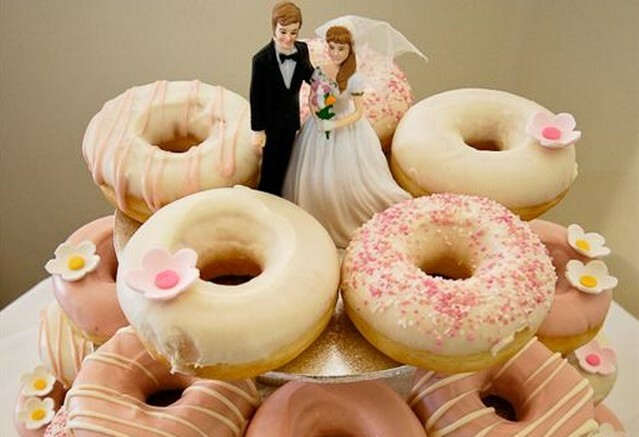 Arrange doughnuts in layers to resemble a wedding cake! See more photos from this wedding on the source. Watch a video tutorial for creating a tower of glazed doughnuts. See this idea using a variety of doughnuts.